While HMCS Ottawa was in Los Angeles for Fleet week, starting Aug. 28, chefs from the warship competed in Galley Wars 2018, hosted by Jill Whelan, from the hit TV show Love Boat. With USS Iowa as the backdrop, cooks from the various warships of Fleet Week competed for the title by preparing a unique meal in only 30 minutes. Their food was then judged by Rear Admiral Dwyer, Chef Ernesto Uchimura, Chef Suzanne Tracht, and Chef Robert Irvine. Unfortunately, Ottawa’s chefs were not able to hold on to their title as Galley Wars champions. 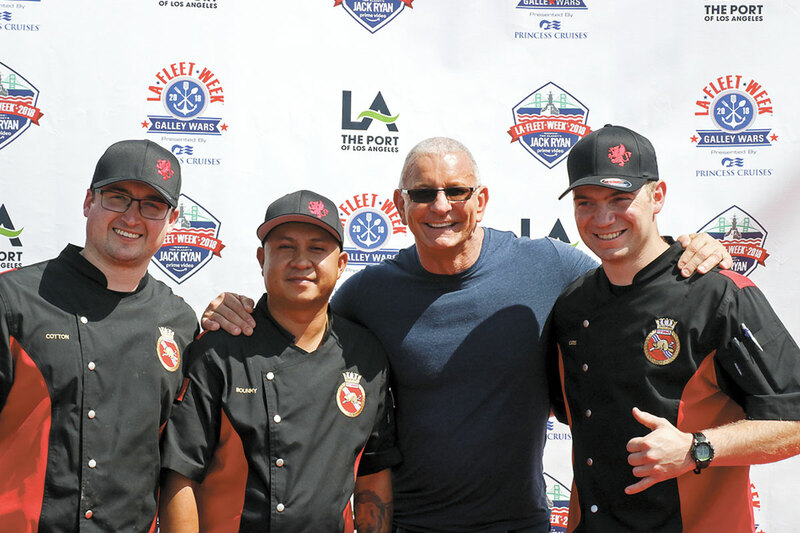 Chef Robert Irvine announced that USCGC Alert’s team beat Ottawa by just one point. However, the spirited competition was filled with laughter and smiles as all participants posed with the judges for a group photo at centre stage after the competition. 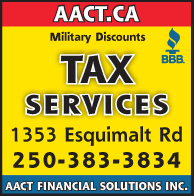 Ottawa and crew were State-side for the third annual Los Angeles Fleet Week (LAFW). This year, USS Dewey, an Arleigh Burke class destroyer; USS Manchester, an Independence class littoral combat ship; USS Scout, a mine clearance vessel; and US Coast Guard Cutter Alert were all in attendance. Sailors from all ships were welcomed into the LA community with the boom of USS Iowa’s 5” guns. Fleet Week officially commenced with a reception hosted by the Mayor of Los Angeles, Eric Garcetti, in the heart of Hollywood. From there, sailors from every ship had the opportunity to take part in a series of activities including social events, sports and volunteering for charity work. Canadian sailors participated in a soccer camp hosted by the LA Galaxy while others took a sunset cruise around San Pedro Harbor. Sailors also lent a hand in the community by aiding in projects hosted by Habitat for Humanity, as well as visiting Ronald McDonald House and the LA Regional Food Bank. One of the most exciting events was the premiere for Amazon Prime’s Jack Ryan. This event, hosted on the fantail of USS Iowa, brought sailors together with actors and producers of the new series. The night was finished with fireworks display off the port side of the Iowa. Throughout the visit, Ottawa’s crew hosted over 1,300 guests for tours of the frigate. Crossing the flight deck and into the hangar, guests were met by members of the boarding party who displayed their gear and talked about their training. Forward onto the missile decks and the foc’s’le, guests learned about the warfighting capabilities of Canadian warships. From there, they were brought to the bridge where watchkeepers told them about the different equipment the ship uses to navigate. Ottawa co-hosted a reception with the Los Angeles Consulate representative Patricia Elliot and Capt(N) Christopher Robinson. Together, Rear Admiral Daniel Dwyer, Commander of Carrier Strike Group Nine, and Rear Admiral Yancy B. Lindsey, Commander of US Navy Region Southwest, were welcomed aboard for a cocktail party with some of LA’s finest. For many guests, this was their first Canadian cocktail party; the moose milk was, as always, well received by all guests.